NEW YORK – Taxpayers United of America has released the top pension estimates for New York State government teachers and employees. “We are shedding light at last, on the problems with New York’s government pension system,” said Christina Tobin, Vice President of Taxpayers United of America (TUA), and founder and President of Free and Equal Elections. “Minimal reform has occurred in New York as legislators consider measures that do little to actually solve the problem. Much more pressure is needed from taxpayers,” she said. Tobin, who toured through New York state revealing top government pension estimates to the public, received coverage from Metro New York, TimesUnion.com, and Capitol Confidential. Of particular note was the following story from reporter January Keaton at ABC 10 News. Tobin stated that while the individual pension amounts have been eye-opening in the communities that have followed the law and released the pension information requested by Freedom of Information Act (FOIA) requests, TUA will be exploring all options to obtain the information still being withheld by the city government bureaucrats of New York City. TUA will be revealing more States’ pensions across the nation, including those of Colorado and Minnesota in the coming weeks. 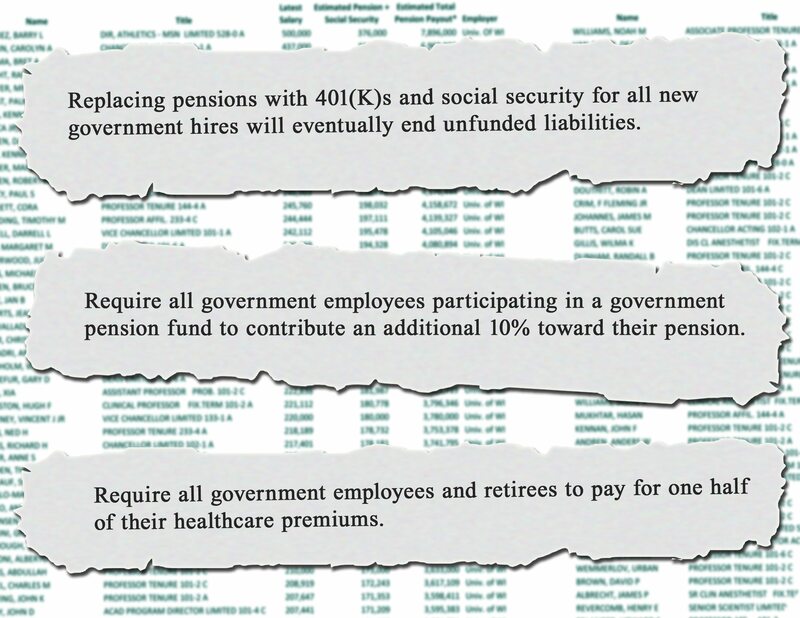 NEW YORK—Taxpayers United of America (TUA) released a report this week revealing top government employee pensions with estimated lifetime payouts, for several New York counties as well as New York’s state government retirees, and statewide government teachers. Several New York cities, including NYC, have refused to provide the data requested. “This is the time for the political courage to do what’s in the best interest of taxpayers, rather than the union bosses. Lawmakers seem to think they answer to unions and corporations. Let’s knock any politician out-of-office, who cuts deals with bad union bosses and bad corporations!